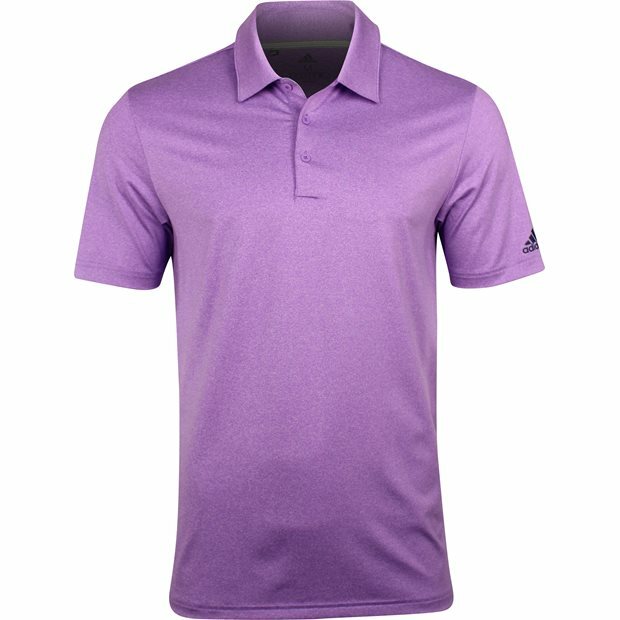 DESCRIPTION The Ultimate Heather golf polo by Adidas offers UV protection against harmful sunrays, four-way stretch for an unrestricted swing, and moisture-wicking to keep you dry and comfortable in the heat. 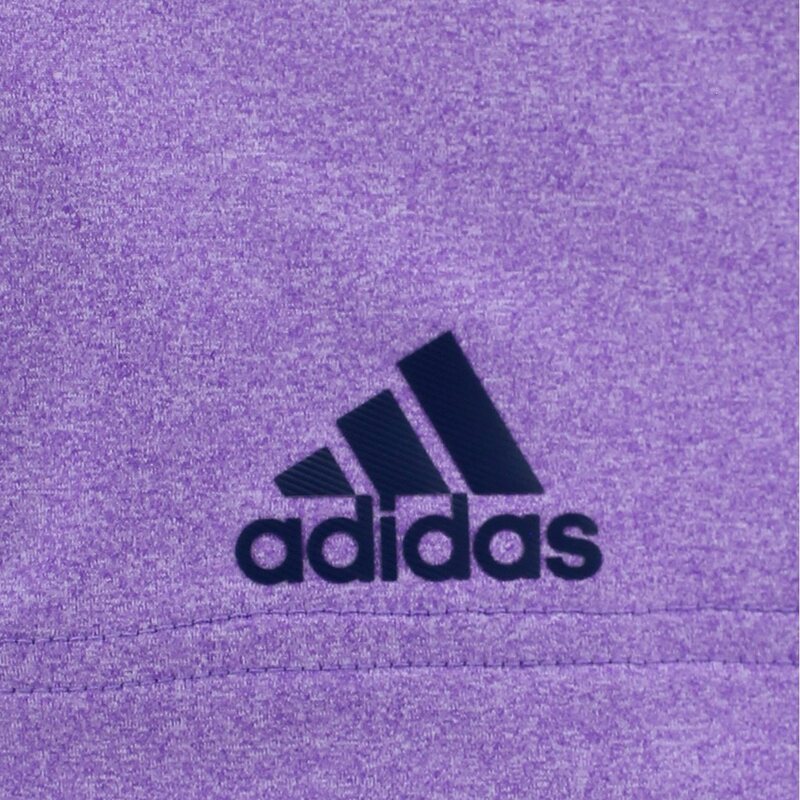 The fabric is machine washable and resistant to shrinking. It is also resistant to wrinkles so you can spend less time ironing and more time on the golf course. 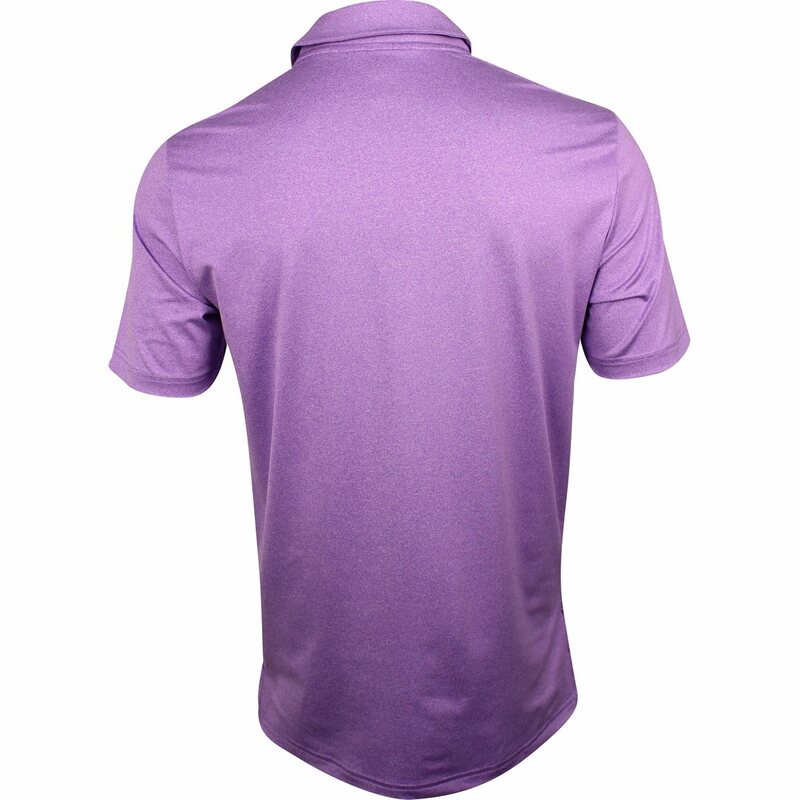 Design details include a three button placket, edge stitched seams for durability and a regular fit that’s wider in the body.